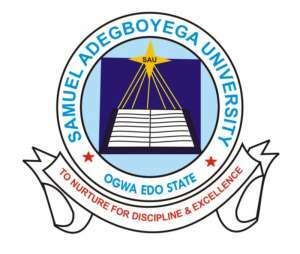 SAU Postgraduate Courses – The list of postgraduate courses available at the Samuel Adegboyega University (SAU). The management of the Samuel Adegboyega University (SAU) has advertised the following postgraduate programmes for the 2018/2019 academic session admission exercise. Recommended: How to Apply for SAU Postgraduate Admission. All programmes are fully accredited by NUC.